With the dual nature of mountain and lowland town it synthesizes its urban dimension.High City, Historical and Medieval,Lower Town, more functional and full of villages. In Bergamo Alta you arrive in two ways: or with the funicular that starts from the low city or on foot and when access is free it can be reached by car. 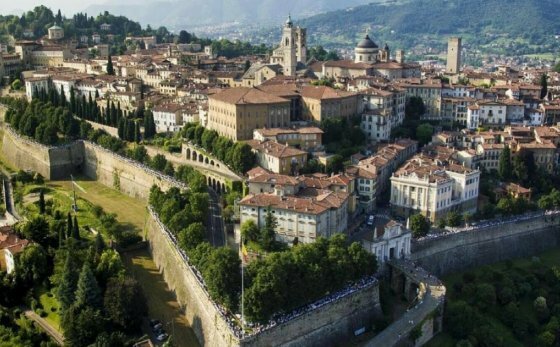 The first thing that will amaze you in Bergamo Alta are the Venetian Walls, proclaimed walls UNESCO World Heritage. The upper city is in fact surrounded by this city wall, which dated back to the Roman era and were later rebuilt in the Middle Ages and the Renaissance. The city looks like a very characteristic hamlet, with its houses and shops that still maintain the traditional appearance. You can take a walk around the walls and admire the botanical gardens below you, while before your eyes there will be a splendid panorama of the entire lower city. Arrived in the upper town by the funicular, you can head to the Old Square, where the main attractions are located: the Angelo Mai Civic Library, the University of Bergamo, the Shed, which at one time was the tower that at 22 o'clock sounded, and still today is remembered and played, for 100 strokes to remind the inhabitants of the closure of the city gates, and the Fontana Contarini . Along the road that leads to the square, you can also stop to have a look in the small shops and cafes of the upper town. From Piazza Vecchia, passing under an arch you arrive in front of the Cathedral of Bergamo, dedicated to Saint Alexander. The cathedral is an example of neoclassical and baroque style and inside you can admire the paintings of many artists. Next to the Duomo stands the basilica of Santa Maria Maggiore, in Romanesque style and the Baptistery , in which the remains of Donizetti, illustrious personage of the city are preserved. 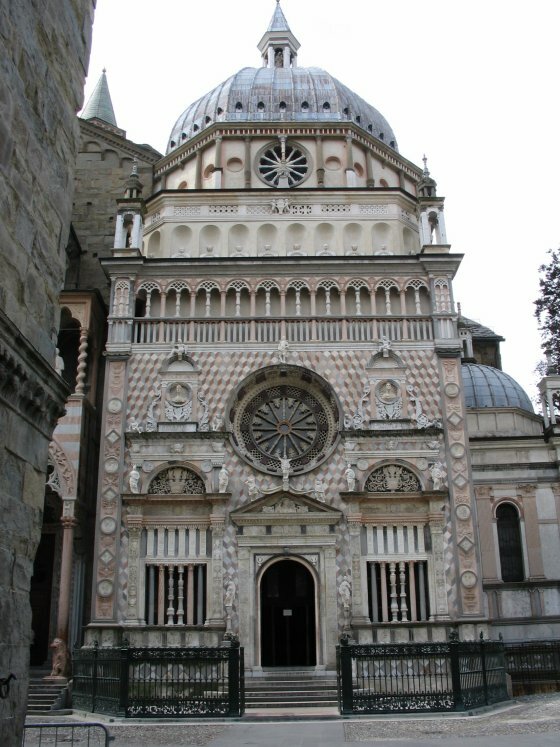 On the Piazza del Duomo in Bergamo Alta, leaning against the basilica of Santa Maria Maggiore is the La Cappella Colleoni , a Renaissance work by Giovanni Antonio Amadeo. Leaving Piazza Vecchia behind you, continue towards Piazza della Cittadella , where the Archaeological Civic Museum and the Museum of Natural Sciences are located. Passing the Citadel , you will arrive at Colle Aperto , where you will be able to observe one of the four gates of Bergamo, the Porta di Sant’Alessandro. Also in via Colle Aperto is the Botanical Garden, now also home to the Faculty of Foreign Languages ​​and Literature of Bergamo. At Colle Aperto there is a second funicular that takes you to Colle San Vigilio, where the homonymous Castle is located, which in the past had a defensive function.